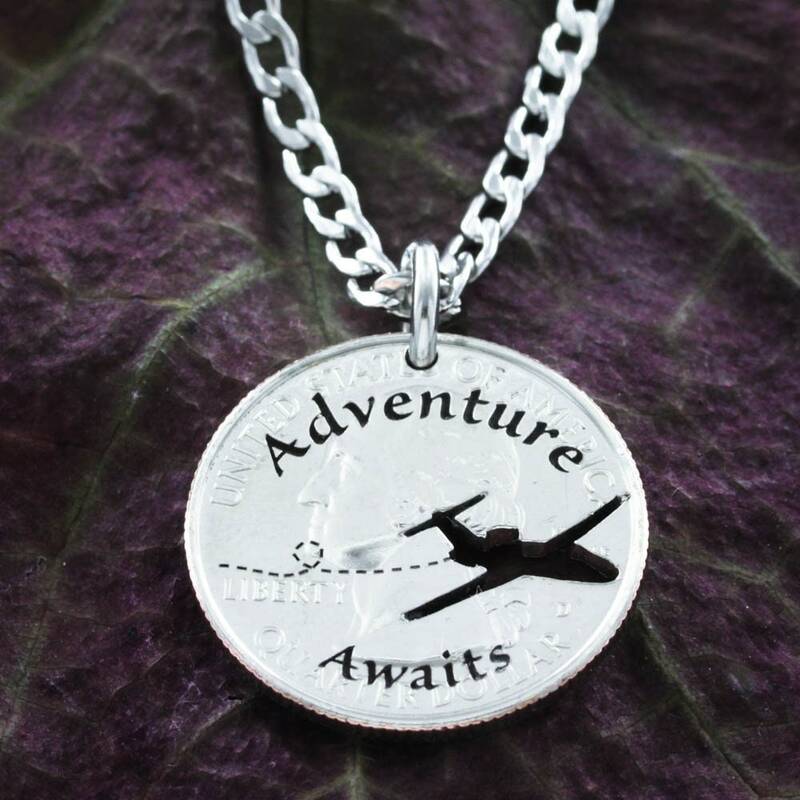 We deeply engrave the phrase Adventure Awaits and the a cute "flight path" for the plane. 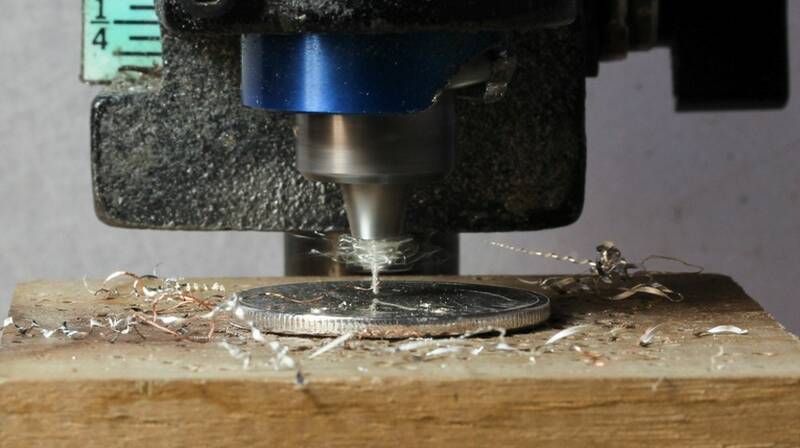 Then we hand cut with a jeweler's coping saw the plane so that the adventurous wearer can forever love their love to travel gift. 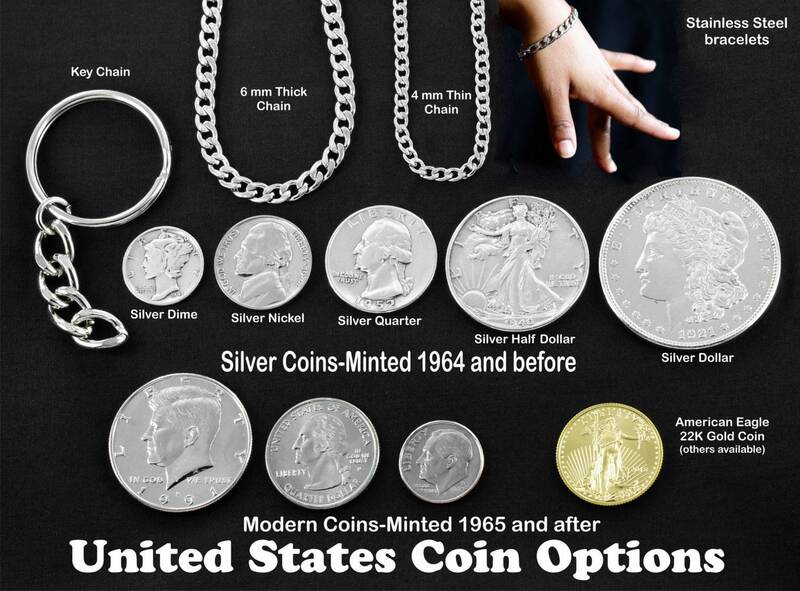 The picture shows a Modern Quarter used, but we have different sizes of coins and even beautiful silver coins to choose from. 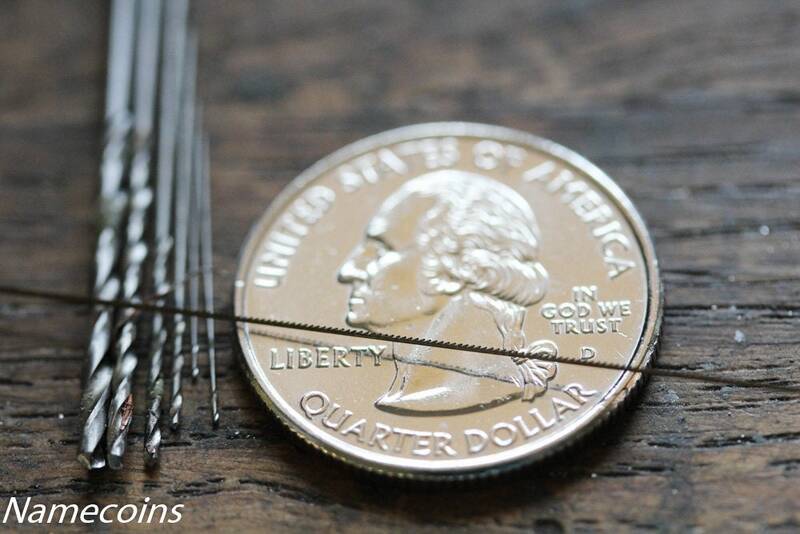 Our thinner chains are 5mm thick and our thick chains are 7mm thick. 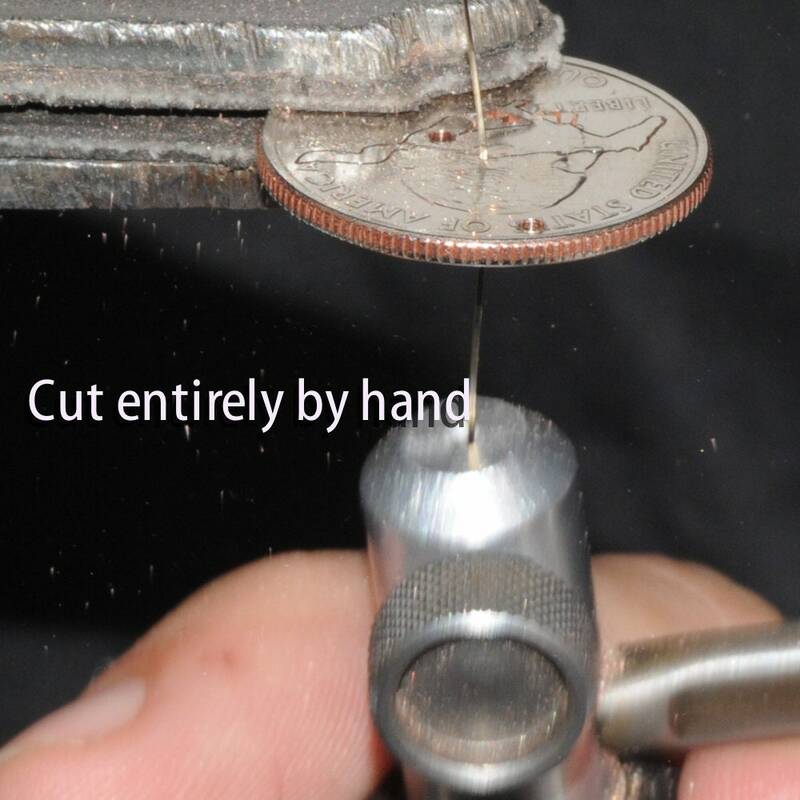 They are made of stainless steel and are very strong and smooth. The thick version is heavy and perfect for guys,or you can always get a key chain.